NEW YORK--(BUSINESS WIRE)--letgo, the biggest and fastest growing app to buy and sell locally, today introduced letgo Reveal and video listings, two innovations designed to transform the idea of a secondhand marketplace. Reveal combines real-time image recognition and other artificial intelligence to instantly display an item’s estimated value and other details on screen when a user simply points a smartphone camera at it. letgo plans to expand the technology over time to include additional insights. Video listings enable the tens of millions of people who have downloaded letgo’s free app to add short clips to listings to showcase anything from sneakers to a mountain bike. letgo is the only marketplace of its kind with video listings or a feature like Reveal. Both are now available to letgo users in the U.S.
Reveal’s patent-pending technology helps users price their listings competitively and sell more quickly by drawing insights from hundreds of millions of other listings across letgo’s marketplace. Users can effortlessly see what almost anything they own is worth and how high current demand is for similar items. With a tap, they can post something for sale and letgo will automatically suggest a title, price and category. Users can easily edit these details and add others anytime. The new feature is built on the kind of cutting-edge technology that has helped letgo become one of America’s most popular apps since it launched three years ago. 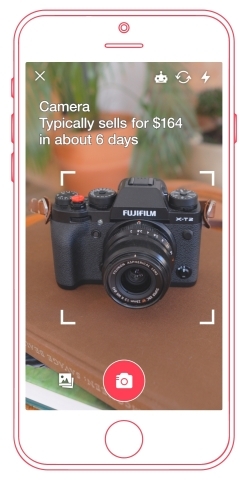 More than 75 million people have already downloaded letgo, which comScore ranks second among the fastest growing apps in the U.S.
letgo users can now add videos to their listings, making it easy to show an item from all angles. Videos appear alongside photos within listing pages, search results and home feeds. With over 75 million downloads and hundreds of millions of listings, letgo is the biggest and fastest growing app to buy and sell locally. One of America’s most popular apps, letgo’s marketplace is filled with everything from electronics, cars and collectibles to housing, clothing and furniture. With innovative features like image recognition, video listings and letgo Reveal, the free app makes it easy to list what you don’t need and find great deals nearby on anything you do. 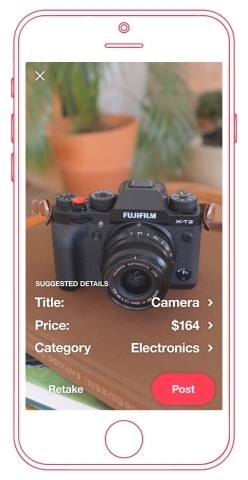 Listing something is as simple as taking a photo because letgo’s advanced technology automatically suggests a title, price and category. letgo was founded in 2015 by Alec Oxenford and Jordi Castello, with cofounder Enrique Linares joining soon after. letgo, the biggest and fastest growing app to buy and sell locally, today introduced letgo Reveal and video listings.